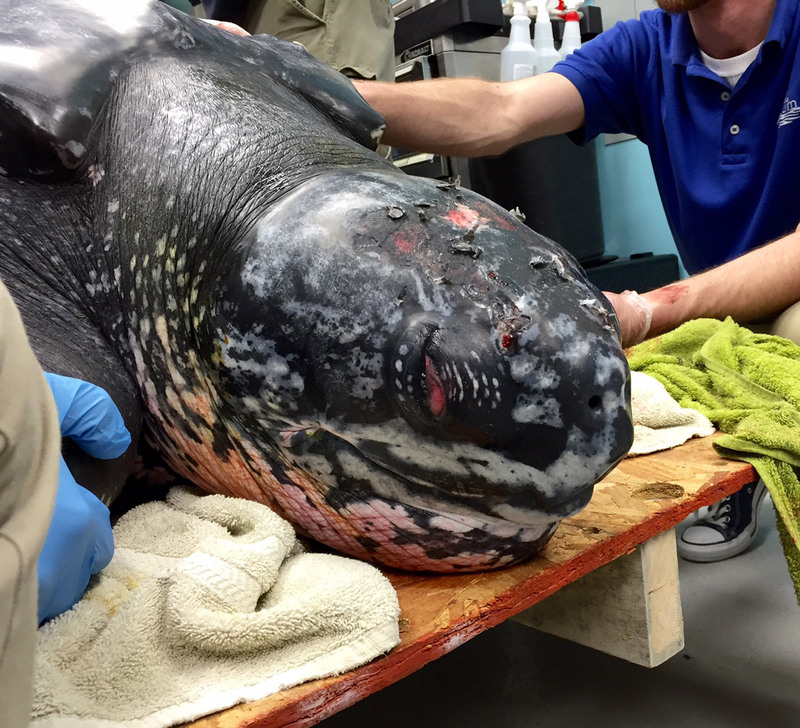 A supersized patient has been admitted to the South Carolina Aquarium Sea Turtle Hospital in the US: a 230kg (500 lbs) turtle found stranded on a remote beach near the city of Georgetown. The leatherback turtle is likely a juvenile female (probably no more than 10 years old), and was found with no serious external injuries. 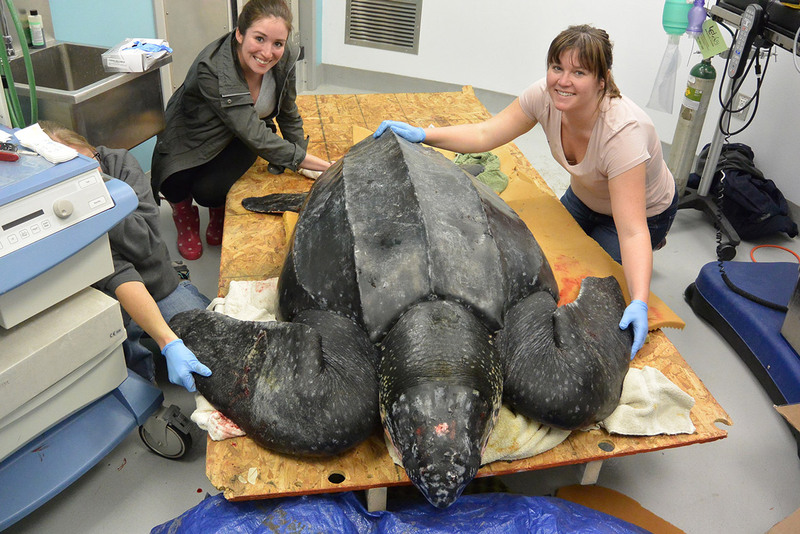 Very few leatherback turtles have ever washed up alive in the US, and this one is believed to be the first ever found in South Carolina. Transporting the large reptile to the hospital was a logistical challenge – it took five people nearly four hours just to retrieve the animal safely from the beach, Reuters reports. 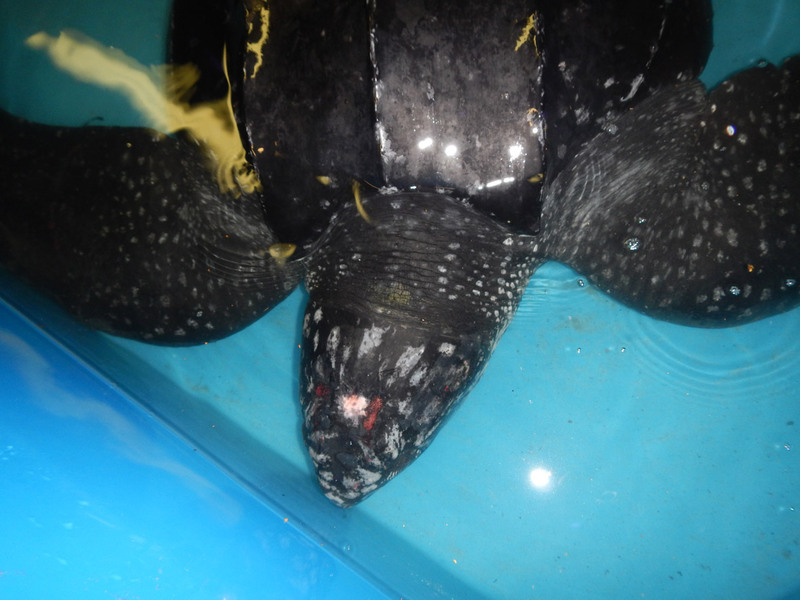 Nicknamed Yawkey (after the Yawkey South Island Reserve near where it was found), the turtle has received treatment for low blood sugar levels, as well as a dose of antibiotics to combat any possible infections. 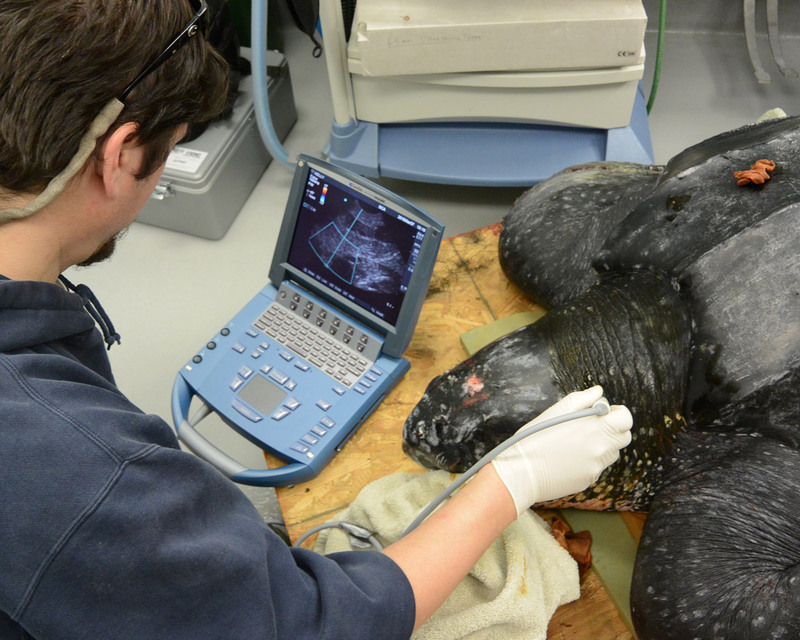 Because these turtles don't do well in captivity, hospital staff are hoping their new patient will soon be well enough for release back into the wild. For now, she's being closely monitored in a holding pool. Leatherbacks, which get their name from their unique 'rubbery' shells, are the world's largest sea turtles, and adults can reach a whopping 900kg (2,000lbs), so Yawkey still has plenty of growing up to do. Here's wishing her a speedy recovery.